Simbarashe Patrick Nyanhanga passionately known as DJ Simba picked up the phone and shared the story of her sister who died from early forced marriage with me. If a program like Girl Child Network existed by then his sister could have been here .But she is gone and what a big void she left. If anyone would have asked me on the 1st of February 2010, if there would be such an establishment as ZimOnline Radio, I would have laughed and said yes, only in dreamland. As a dreamer, the vision lived so vivid in me then, as it has become a reality today. I can never pay enough appreciation to the unwavering support that this project has got from fellow team members and our faithful listeners at large. With thus said, I will jump straight to the reel of events that birthed and nurtured ZimOnline Radio to date. On the 29th January 2010, a skype call which started with Simbarashe Patrick Nyanhanga & Prince Chibwe began as a consultation as to if it was possible to start a Radio Station. With the charisma and passion to put a team together, the call proceeded to be a conference with the echoes of names as Tendai Bako, Tafadzwa Patience Mushayabasa & Gabriel Zvobgo. I must say the names so far mentioned made me believe and feel that we can start the vehicle even on the instance. By the last day of January, all the necessary introductory steps and logistics were in place with a date to switch on the grid set for the 14th day of February coinciding with the world infamous Valentine’s Day. This left us with merely 13days to plan, set up and cross train. I can vividly remember Tendai nearly throwing in the towel after being a nerve wreck. Unsurprising, she went on to become the iron-lady of team ZimOnline Radio, becoming the Vice Captain and Administrator of all operations. Under her belt, she went on to set up and train many DJs who today are formidable names in the industry. There is no success story that would come without challenges and low points. I can say our lowest point was a rogue Web-Designer, Pearson Pfavai who gave us a deal worth far less than a rotting lemon. The website unveiled was far lower than the par of a professional standard we had been quoted at. Pfavai, also had struggles with coming up with a mere chatroom, painfully giving excuses which were beyond belief. We decided to part ways and seek service of a different provider. Alas, that would be the beginning of our worst nightmare with Pearson Pfavai. Not only would he not release our domain credentials for transfer, but we continued to be slapped with fictitious fees, in all claiming that the system can not unlock unless his bank registers the payment. It was quite obvious that he realised that we desperately needed our domain as we had built our name on it. The fiasco with Pfavai really hit us hard, with some team members wanting to take exception and recourse, to which I instructed all that we do not avenge, but our retribution is in God who we all shared the belief that he will guide us through to the success. Our highest highlight is when we won the Zim Awards News & Media Organisations –Radio Award of year 2010, barely a year in service. To this we are highly indebted to the support from our listeners and supported globally who resoundingly stood behind us and voted for us. Our pledge in repayment is that we will Rise Up and entertain and remain on top of the game. Eve Parkes: Not only do I consider Eve a colleague, but in all certain terms a friend, adviser and a source of inspiration. Eve is the host of the notorious Let’s Be Frank Show and plays a very trivial role in coordinating the team, the listeners and operational protocol at ZimOnline Radio. A mother and indeed empowered woman, Eve exhibits great leadership practical abilities and is not easily intimidated with situations. Career highlight on Eve includes groundbreaking open debate show on the Homosexulaity issue. Priscilla Nalana: and Eve Parkes have become my most trusted support & Deputies. I must admit, Priscilla now knows and understands me critically as much the welfare of ZimOnline Radio. Soft spoken and often not keen to be publicly acknowledged but extremely influencial behind the scenes, Priscilla, as I must say is indeed my Spin-Doctor. Matters of recruitment, team development and internal relations are as good as well coordinated as long as Priscilla is in the picture. Priscilla is the host of the Priscilla Nalana Show that features on Fridays from 1800Hrs UK Time. On the mic, Priscilla exerts an angelic voice compounded with a deep internal strength that will indeed put you in the weekend mood. In her catchy statement, “Giving you the weekend Essentials, just the way you like it…” the tag line has lured many listeners to ZimOnline Radio and made many look forward to her Show from as early as Monday. 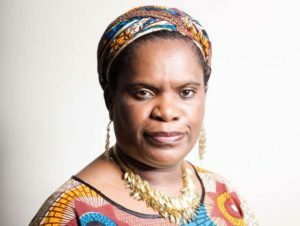 Betty Makoni: In correct terming, Muzvare Betty Makoni. To me, Betty is a symbol of an issue that I have been passionate about from childhood. Our society has had stereotyped and ignored the plight and rights of a girl child. Being the founder and CEO of Girl Child Network, Betty plays a well rewarding and satisfying role to the core objectives of ZimOnline Radio and standing for building a fair rational and equally recognising Zimbabwean Community. Betty is the host of The Muzvare Betty Makoni Show that features every Sunday at 1800Hrs UK Time. Prince Chibwe: Prince has stood by the vision from the first day of brainstorming. As you may have realised he featured in the very first tag of this Press release. He has stood by ZimOnline Radio far beyond just being involved. If I am asked to describe him, I will substitute his second name and call him Prince ZimOnline Radio. Prince hosts many programmes, among them, The Love Zone, Old Skool, RnB Session to mention a few. He is the pivotal Policy maker. Babrah Nyandebvu: many times have I been accused of nepotism and I have always stood up and pleaded Guilty as Charged. Babrah is my cousin sister and we compliment in many ways than one. Many documents that I endorse my signature on, she is the architecture who deserves the credit. In many times, she works around the clock to ensure that all policies are in congruency with the operations and inline with the International regulations and legalities. She also has always played a part in negotiating communications with all High Profile panellists and invited guests. Johane Karonga (aka Musharukwa): Indeed, some people are God sent. Johane, if I asked to define him, I would say he just fell from heaven. Known to the Zimbabwean Community as the lead singer with Vabati veVhangeri Apostolic Musical Group, Johane has brought a ray of complete unabeitted joy to the entire team and our listeners. He has the lustre of admiration and a heart that brings people together. He possesses a ‘wicked’ sense of humour that leaves his followers and fans in stitches of laughter and in all, he has such a humble personality and easily adjust to any environment. Jenny Musonza: Affectionately known as Aunt Jenny or vaChihera. She is a true mother at heart and physically. She has automatically become a mother to all the team ZimOnline Radio. Special tribute to her husband who has proved to be the soul to all the unity that Aunt Jenny campaigns about. I must admit that the couple are a true inspiration to all. It will be really wrong if I would conclude without mentioning our fans, most whom have pledge complete support of the vision. Nottably would be Grenedy Chinhema (Australia), Ebba Kunaka (USA), Spelly Paurosi (Stevenage), Elizabeth Kumire (Scotland), Anna Kondowe (Ireland), Donn Mapondera (Luton), Charity T. Basvi (New Zealand), Gerrad Mabhande (Manchester), Patience Pachirera (Manchester), Max & Patricia Nyandoro (Manchester), Koga Gorejena (RSA), Peter Mawere (Senegal), Barbrah & James (Egypt), Fungayi Muchanyangwa (Dubai), Paidamoyo T. Kungwengwe (London), Edith Mapanzure (London), Kevin Kateya (Cheltenham), Bongi Amanda (Essex), Jirvas Munyaradzi Gwanzura (Luton), and many I could not mention by names, the list is endless.